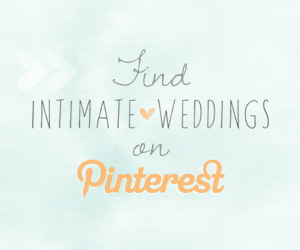 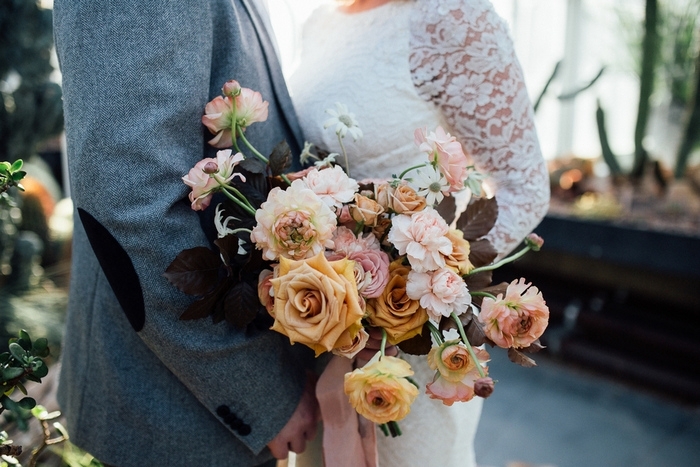 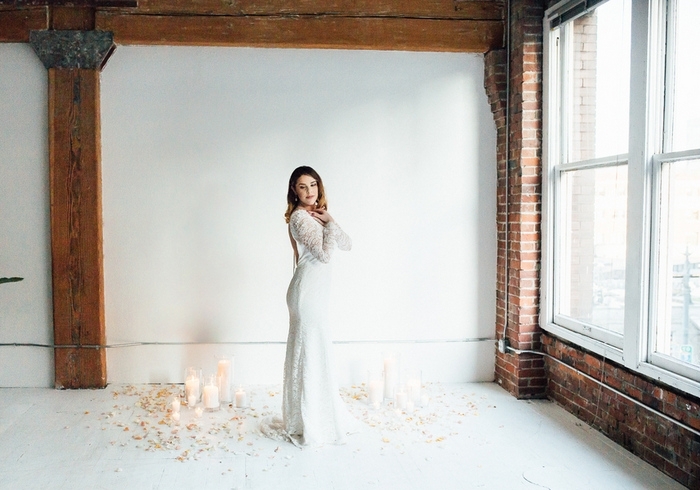 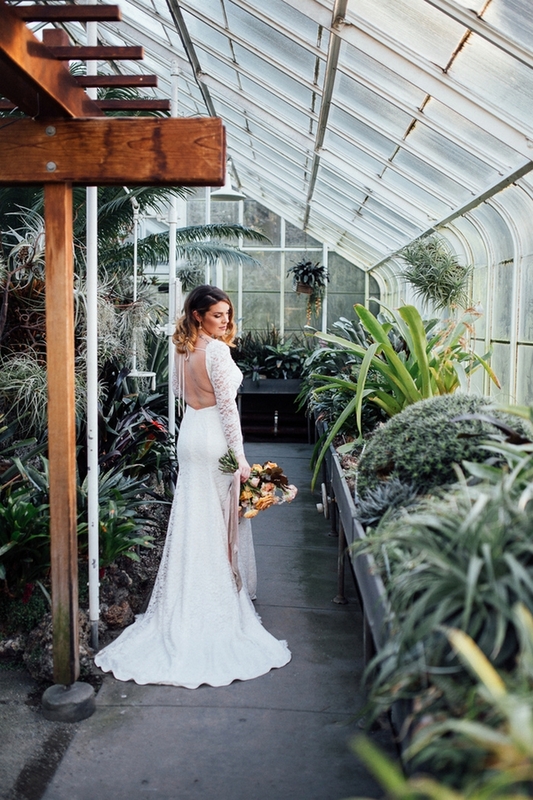 Who says a bride should only wear her wedding dress once? 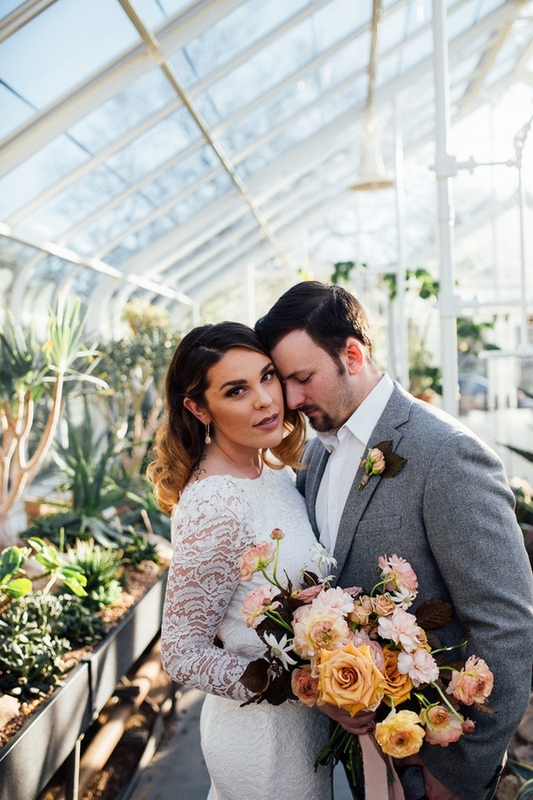 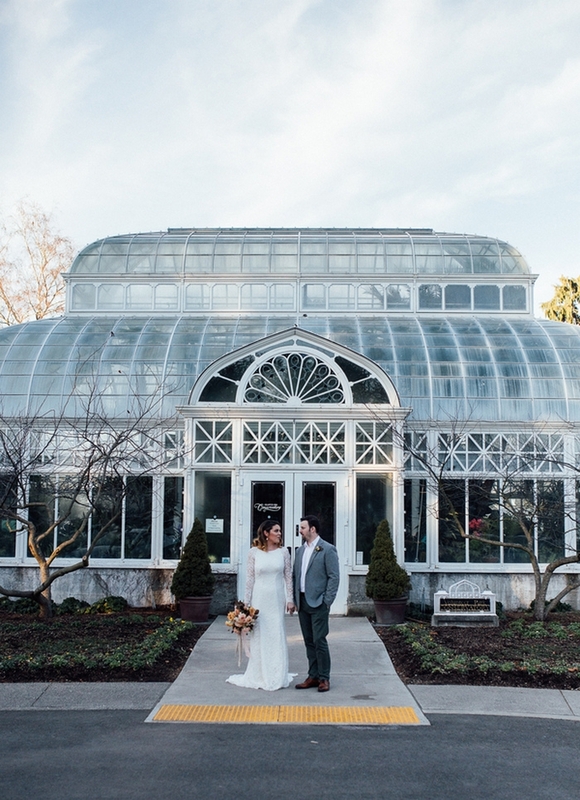 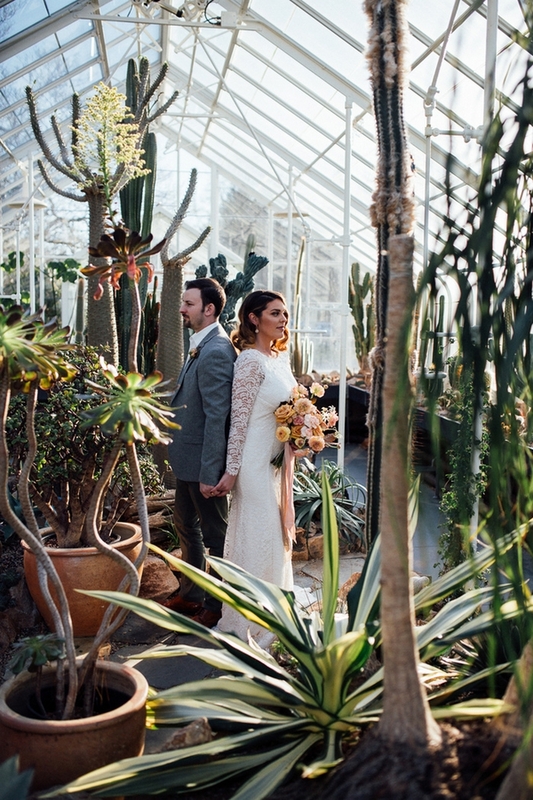 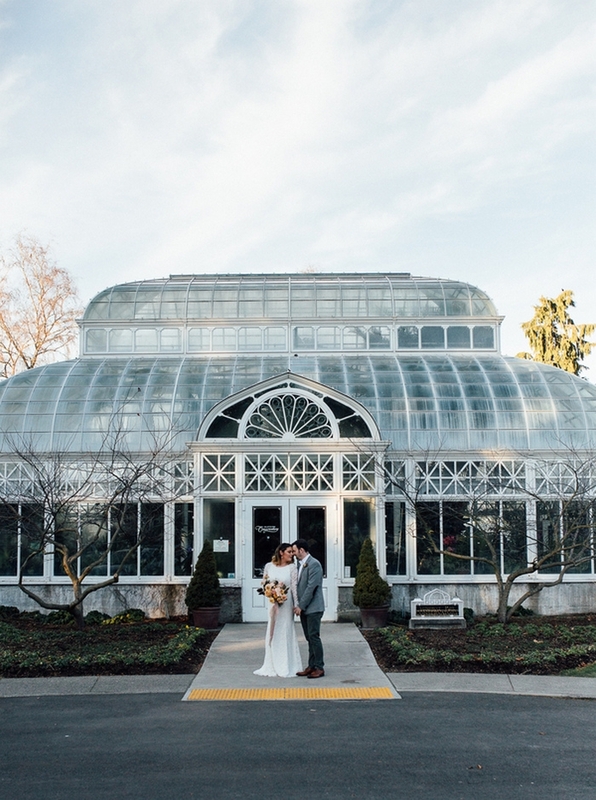 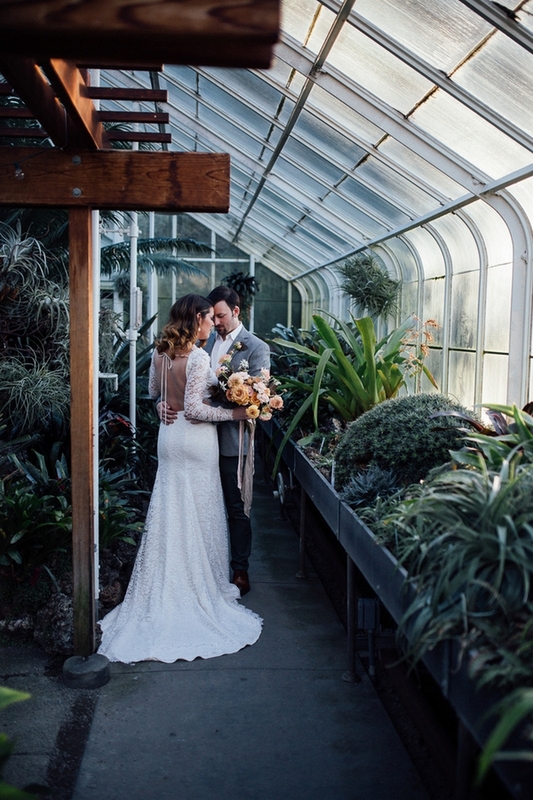 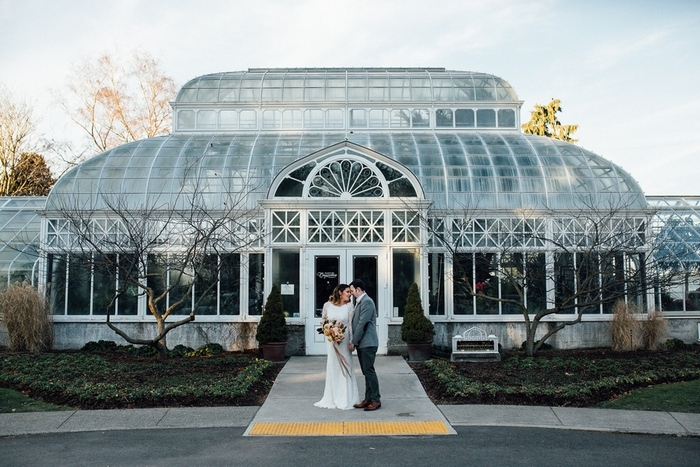 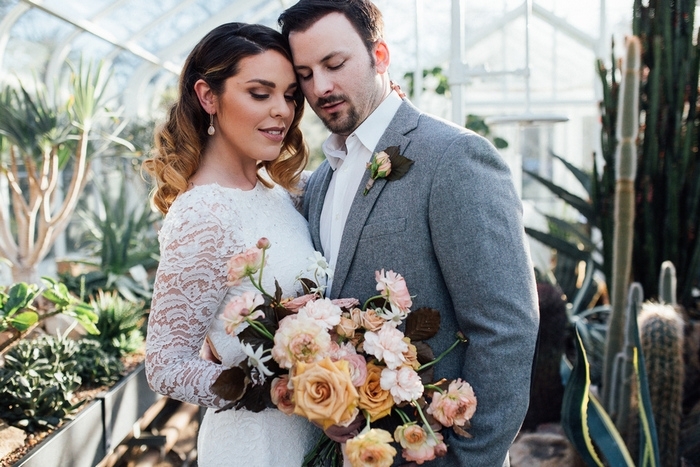 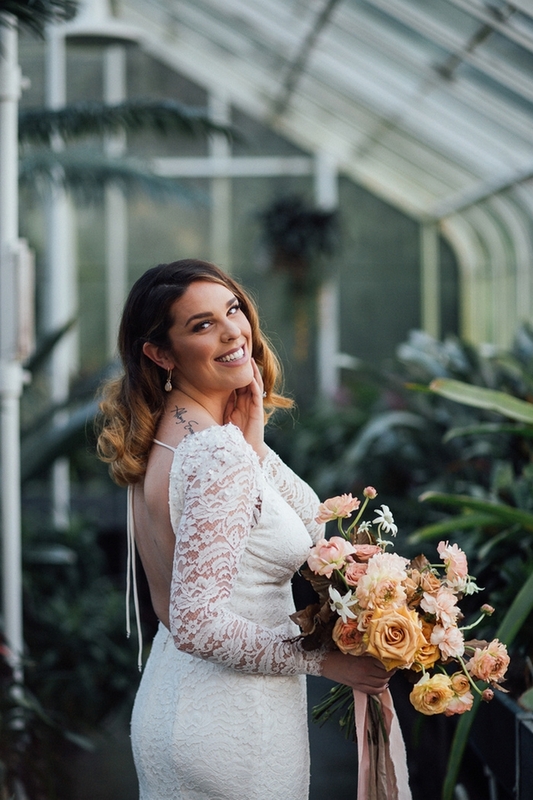 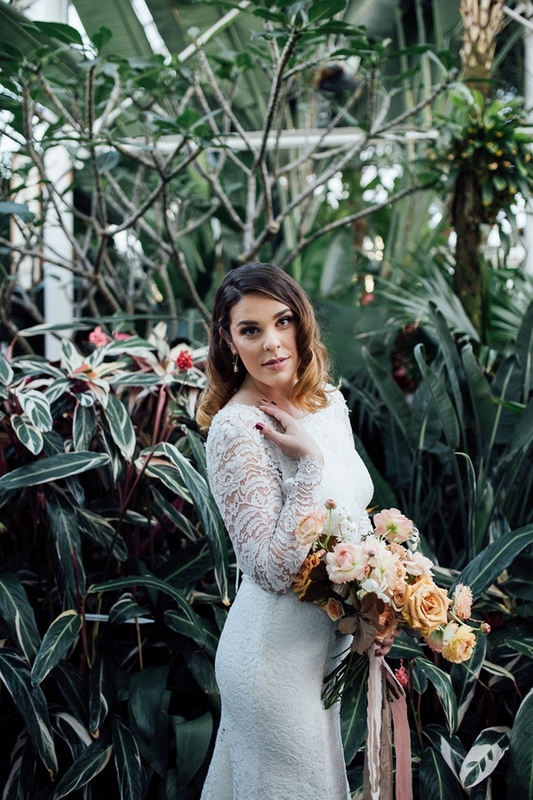 Anthony and Caitlyn celebrated their one-year anniversary in style with a photo shoot at the iconic Volunteer Park Conservatory in Seattle. 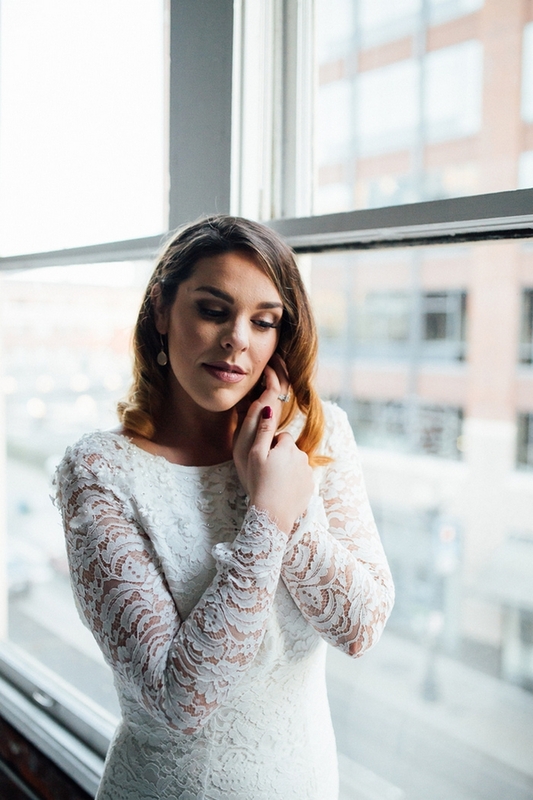 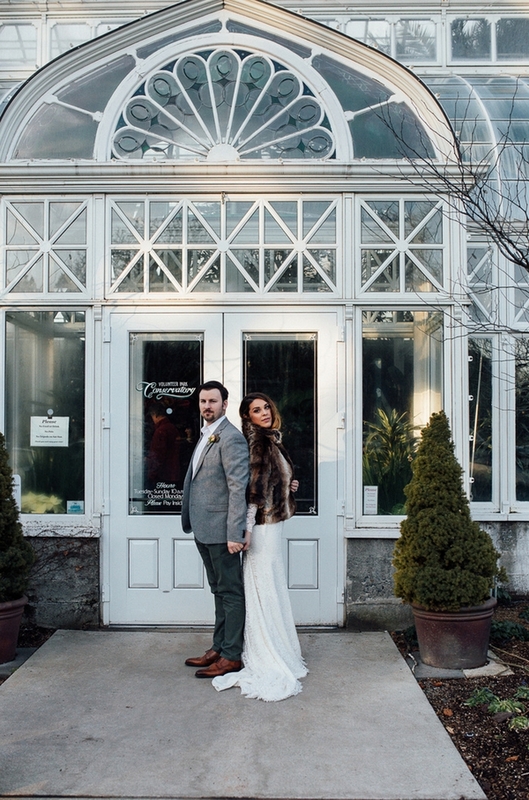 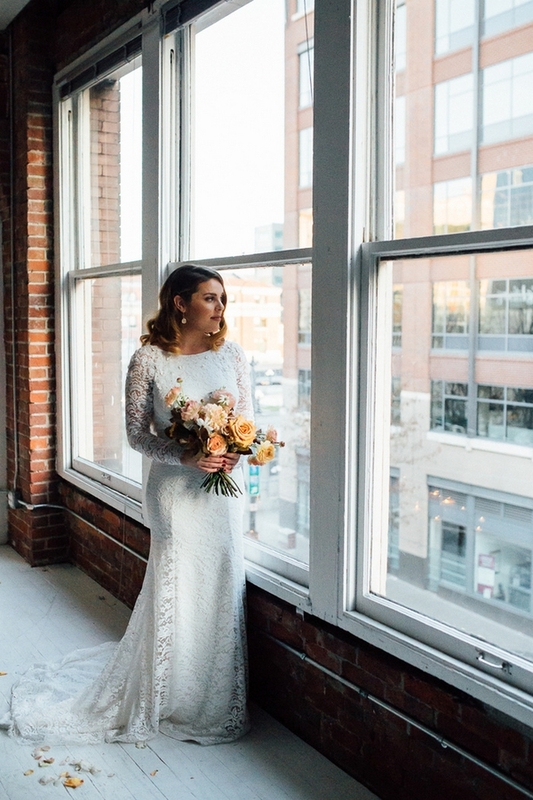 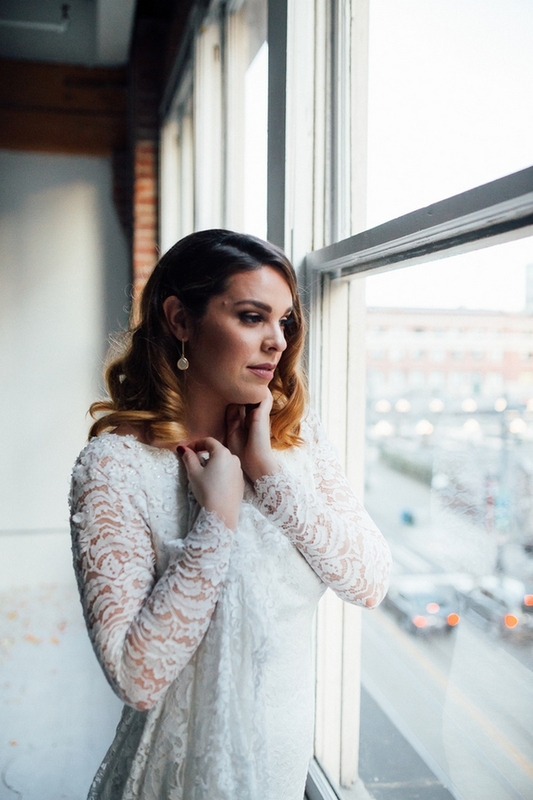 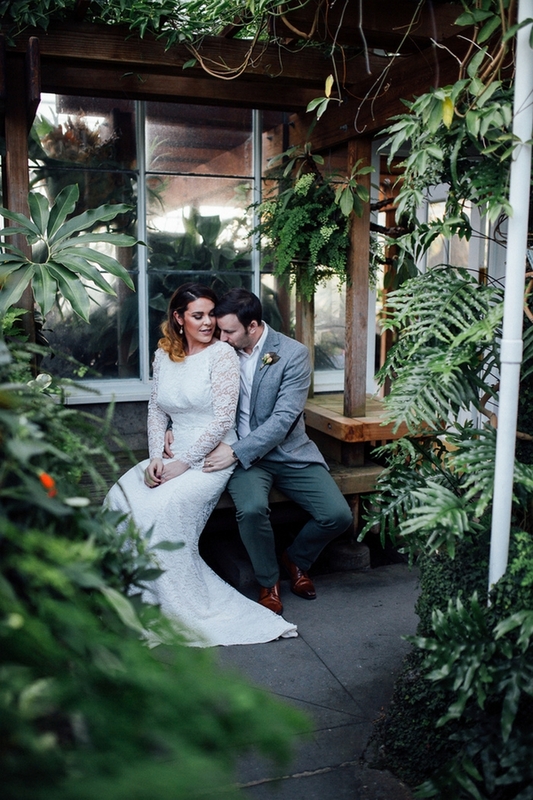 Wearing a beautiful vintage wedding gown with delicate lace from Edith-Elan, and holding a stunning bouquet of blooms in a winter palette, Caitlyn was the epitome of old Hollywood glamour meets modern styling, while Anthony – sporting chinos and light grey suit jacket, looked equally dapper and on trend. 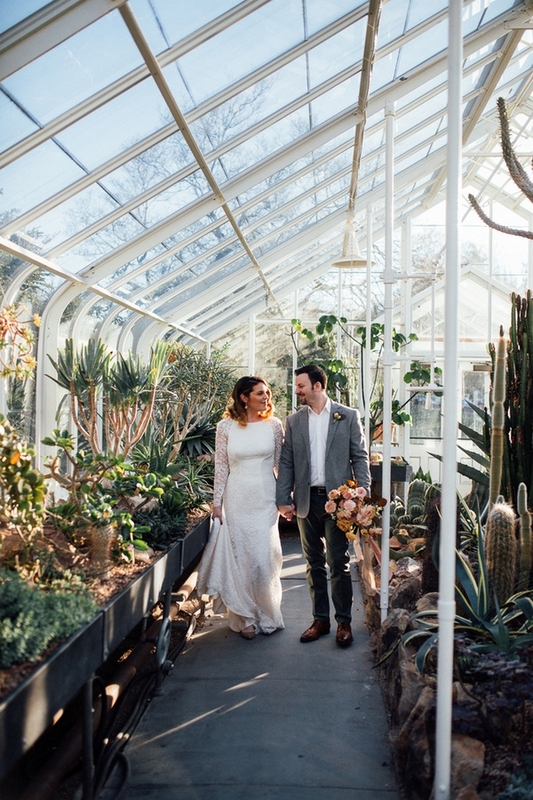 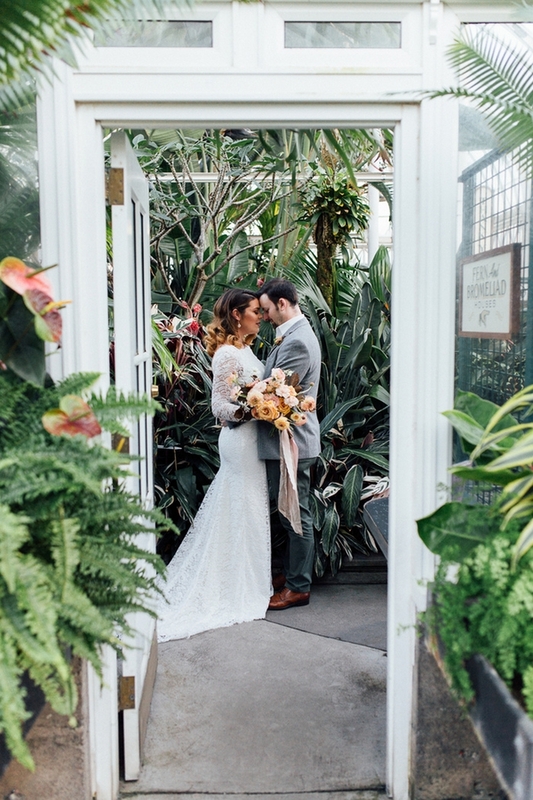 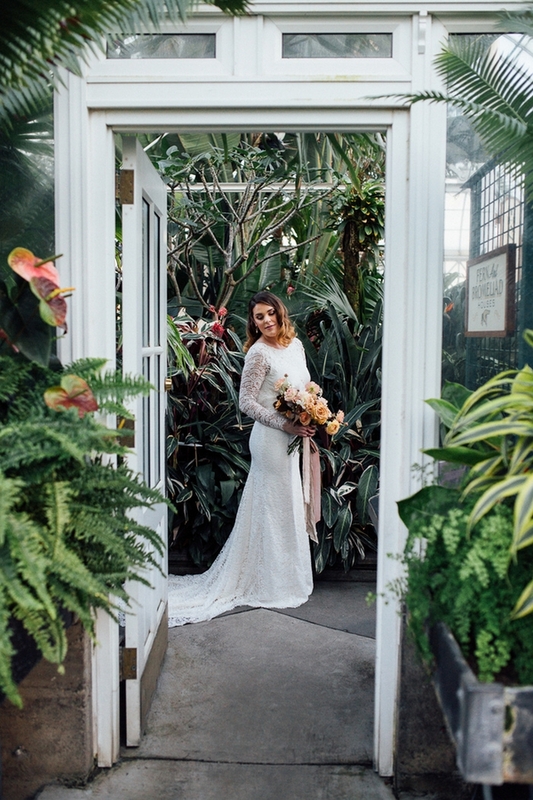 The couple snuggled, and took in a few quiet moments amidst the Conservatory’s lush foliage and amazing blooms, before heading to a studio for more photos. 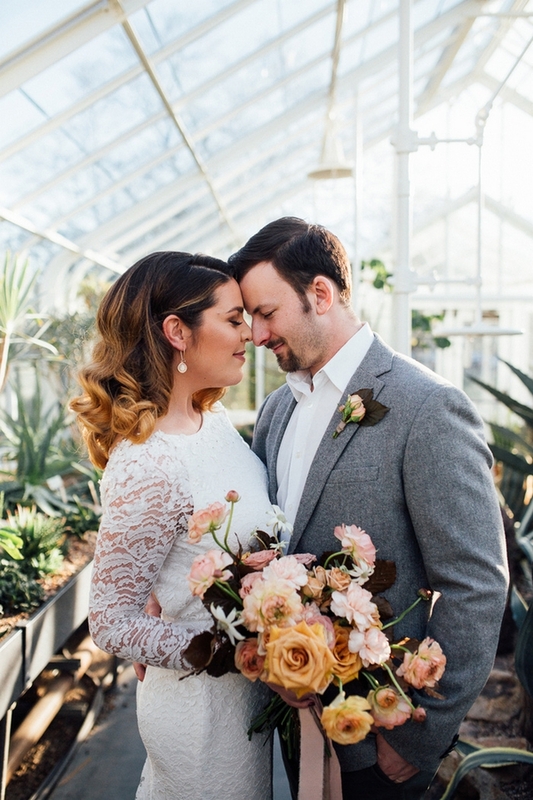 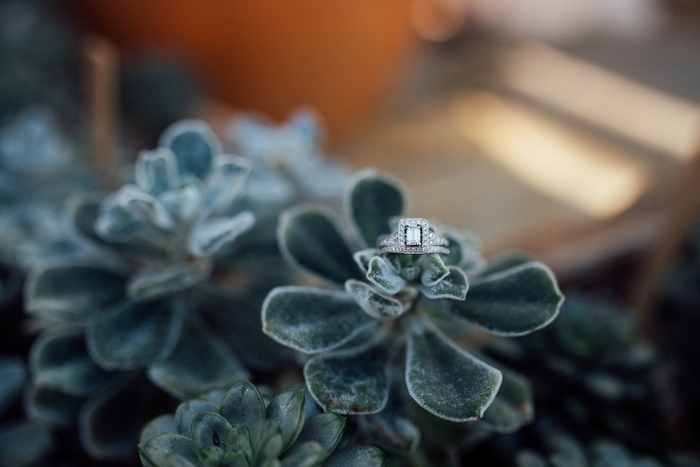 Thanks to Beginning and End Photography for submitting this gorgeous anniversary shoot!